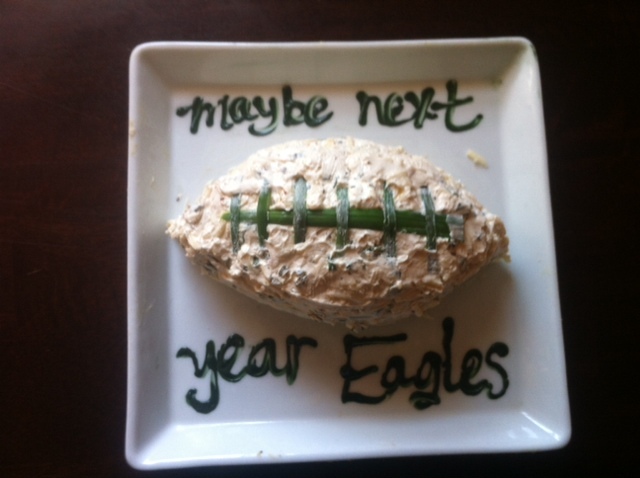 Well, football playoffs and the coming Super Bowl season means it’s time to talk good appetizers. Since appetizers are my favorite food group (besides pizza and cookies), I would like to give you a list of some of my favorite easy peasy lemon squeezie appetizers. 1. At the last minute. 2. With little or no thought. So, today I bring you six awesome treats that will win you friends, compliments and lots of extra time to watch your DVRed episodes of Nashville. Wasabi cream cheese spread– Okay, I did not make up the recipe, but I have made it enough times to take some credit for it. Here’s my shortcut tips. Use a cheese slicer and do it in layers. Put soy sauce in the bottom of a shallow dish and also— serve it with rice crackers. It’s the only way to eat it. Powdered wasabi works just as well as bottled or jarred. Just be careful not to make it too spicy! Unless that’s what you are going for! Brie Bites or Baked Brie Wheel– Brie, crescent dough and raspberry preserves is all you need here. It does not have to be puff pastry, but that works great too! Nothing too complicated. And very, very, very well recieved at parties. it looks beautiful too! The picture I have here is the brie wheel before it is baked with an egg wash, when it comes out of the oven it is so becautifully golden and— YUM! Proscuitto Wrapped Shrimp– Easy and impressive. Could be an entree or a passed appetizer. Make sure shrimp are big enough for wrapping, no mini-shrimp. Get the meat sliced thin at the deli. And use whole basil leaves. I didn’t use red pepper or lemon in this recipe. Serve with tartar sauce. Mmmmmm. Fig, walnut and Goat Cheese Toasts, sprinkled with honey. Mini baguette slices, fig pieces, goat cheese. Heated on the broiler, drizzled with warm honey. I omitted orange and rosemary here. No need to be that fanciful. Mini Shrimp with cocktail sauce and cream cheese– This reminds me of my childhood and therefore is only served with the most buttery buttery Ritz or Club crackers. Yum. What? You noticed all but one of these has cheese in it? So what? It’s a PARTY treat, for God’s sake. EVERYone loves cheese! Enjoy playoff weekend and even if you don’t care who wins, at least enjoy the snacks! 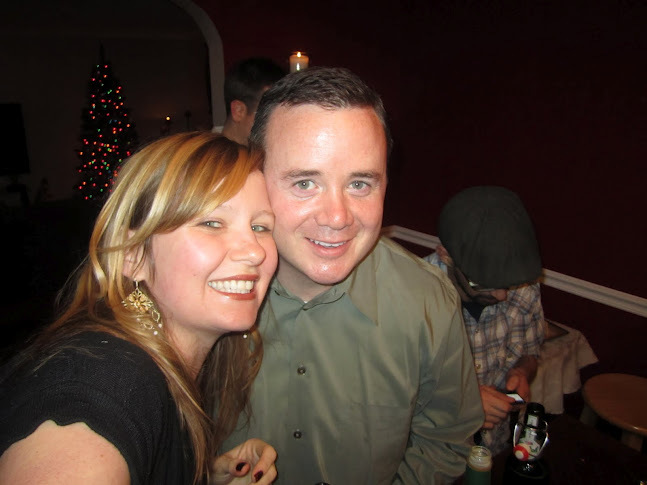 (Remember when I talked about eating low carb? Yeah, well, this post doesn’t count). 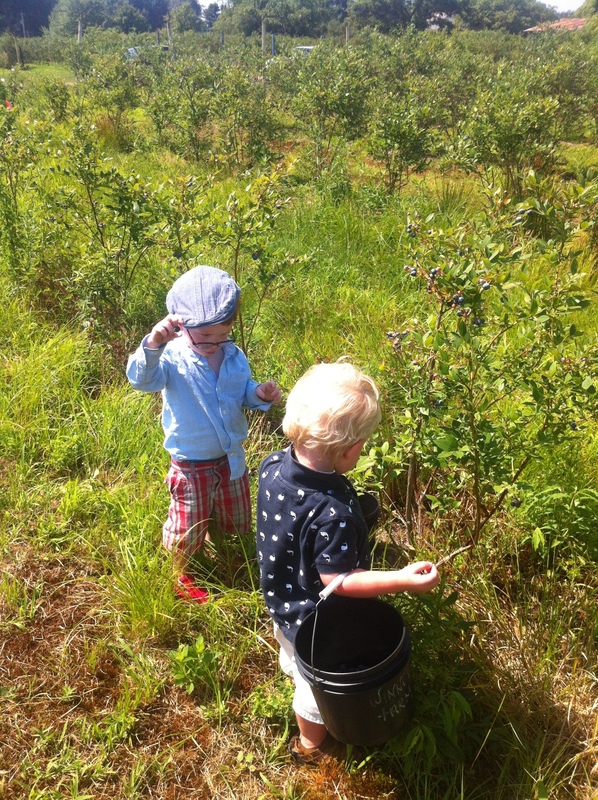 Well, we went blueberry picking this week and have been eating lots of berries ever since. Celia is an absolute blueberry-a-holic so it was a great idea. 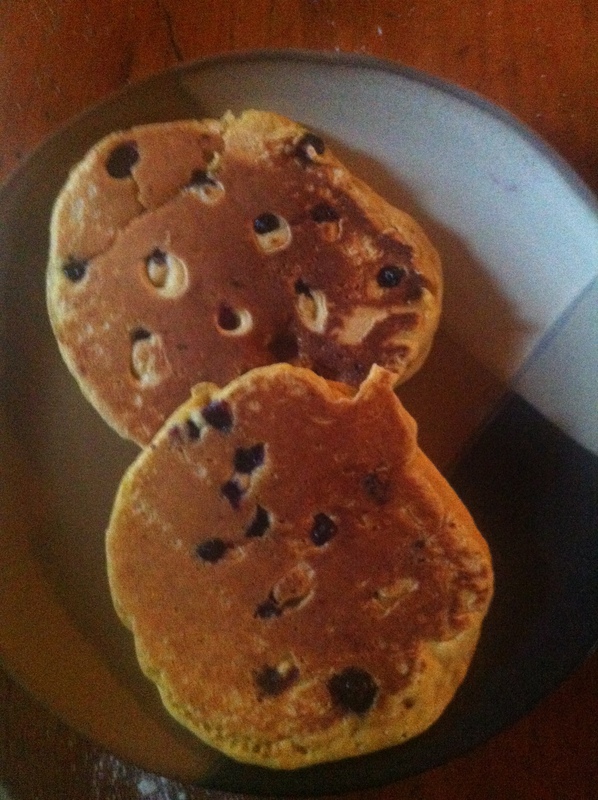 Day 1 we just snacked on them, Day 2 we made blueberry pancakes and day 3- Dump Cake! I know what you are thinking- could there be a less appetizing name for something you eat? But once you taste it, you don’t so much care! I first came across this when trying to come up with a cake recipe for my husband’s birthday. That time, I made a pineapple dump cake. 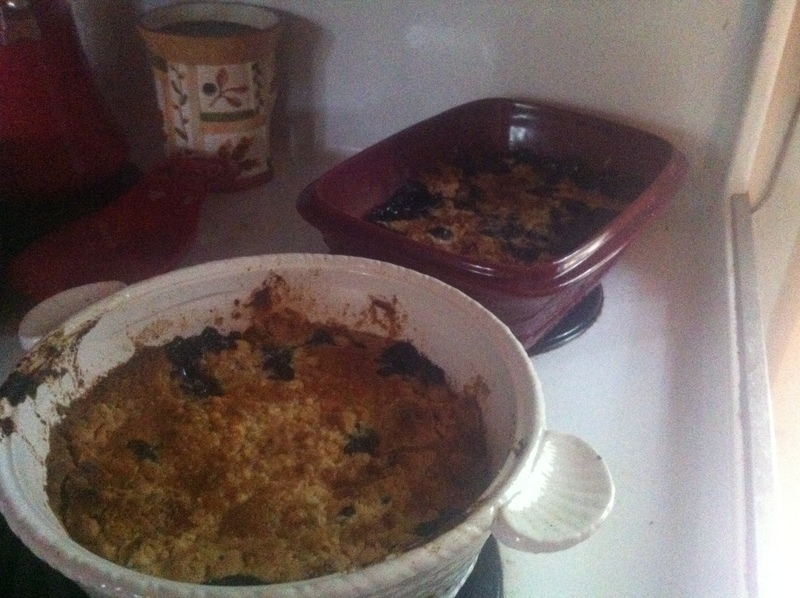 Looks like dump cake can go with any berry or fruit you would like- fresh or frozen. Serve with vanilla ice cream– delicious! 1. 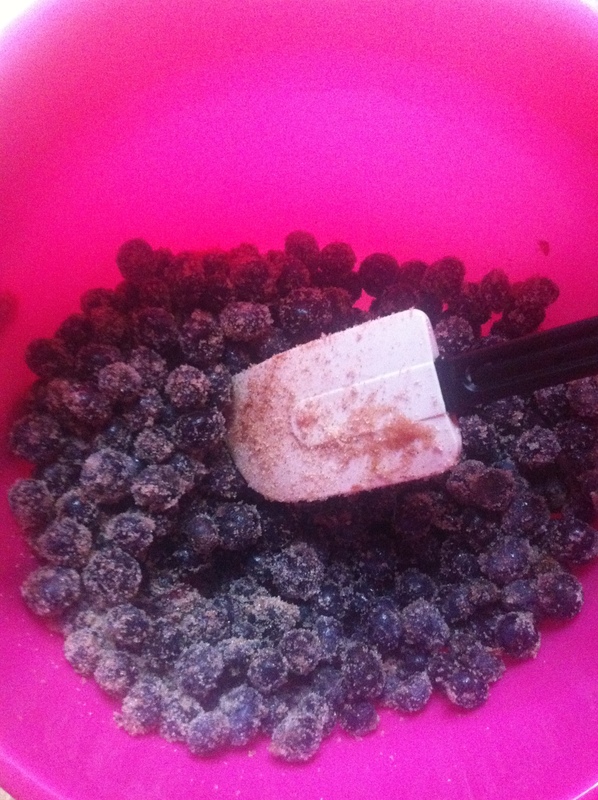 Mix berries with sugar and cinnamon. 2. Pour into the bottom of greased baking dish. 3. 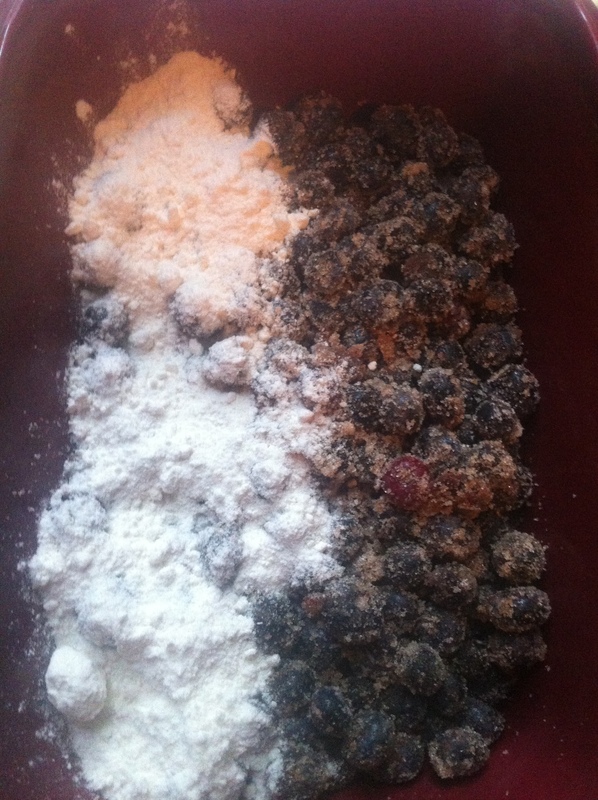 Pour yellow cake mix (dry) over berries. 4. Drizzle butter over top of dish. 6. Serve to only your favorite guest with vanilla ice cream. 7. Get ready to give out the recipe! Two dump cakes ready for our company tonight!